Prison-grade, robust wash basin with recessed bowl, tap hob and safety fascia. All plumbing concealed within shroud. Tapware optional. The BRITEX Stainless Steel Security Hand Wash Basin combines maximum security vandal resistance with quality workmanship and style. 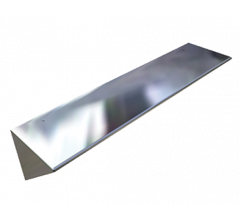 Key to its design is a fully welded, radiused front edge that conceals a solid 25mm dia. 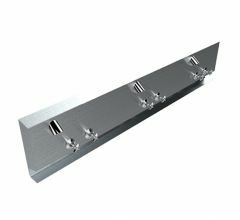 stainless steel bar within to provide additional safety and ensure maximum resistance to any applied forces. A rounded profile above and below the basin also ensures there are no ligature points and all fixing points are concealed. 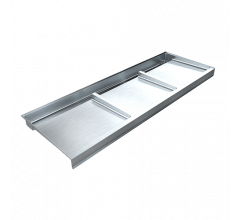 Plumbing connections are secure within the stainless steel shroud that can incorporate an access panel if fixing from the front and an anti-ligature security waste is optional. 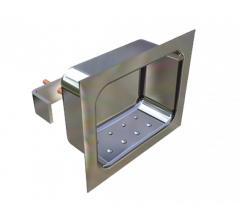 Can be supplied with a wide range of tapware options including anti-vandal timed flow pillar taps, sensor taps or low profile security tapware for maximum vandal resistance.